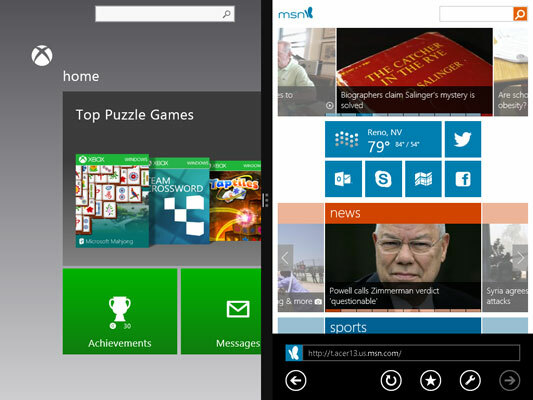 Tap the tile for the first app you want to open. 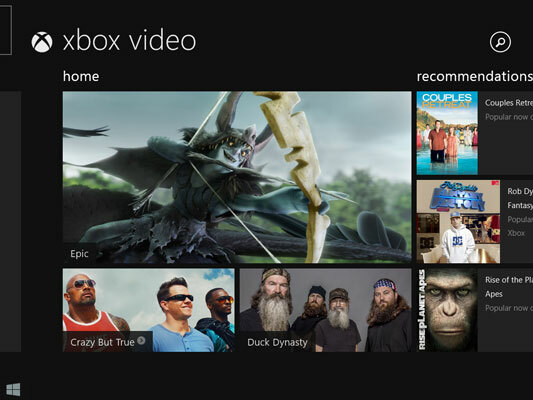 For example, here you can click the Video tile to open the Xbox video app. 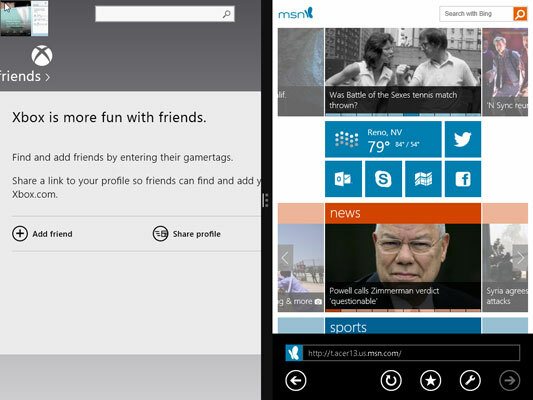 Once you have an app open, return to the Start screen to open another app. 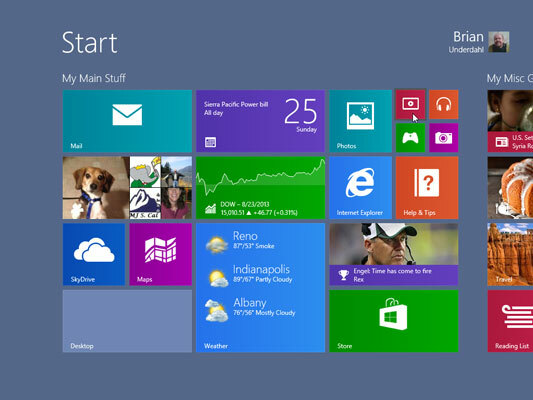 Here, the Start button is used to return to the Start screen. You can also swipe in from the right side of your screen and tap Start, or you can press the Windows key on your keyboard. 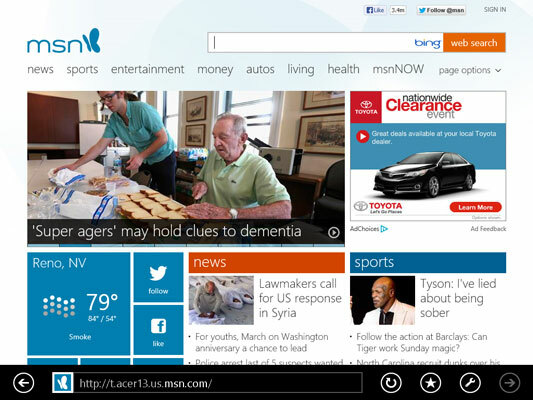 Windows Store apps always open using the full screen. 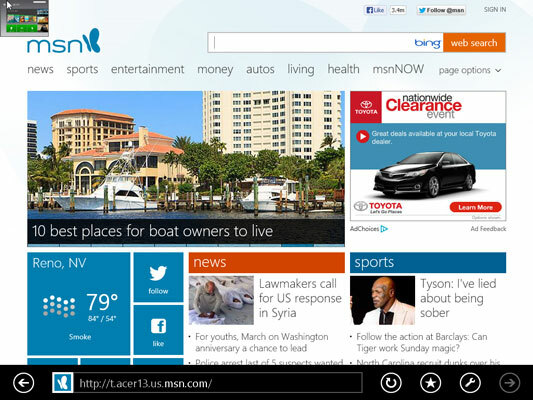 The Internet Explorer app opens using the full screen. 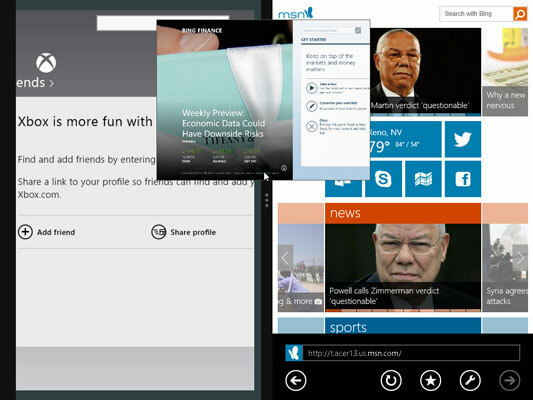 Unlike Windows desktop applications, Windows Store apps lack window size controls, so you may wonder how to view more than one app on your screen at the same time. Swipe in (or move the mouse pointer to) the upper-left corner of your screen to display the open apps. 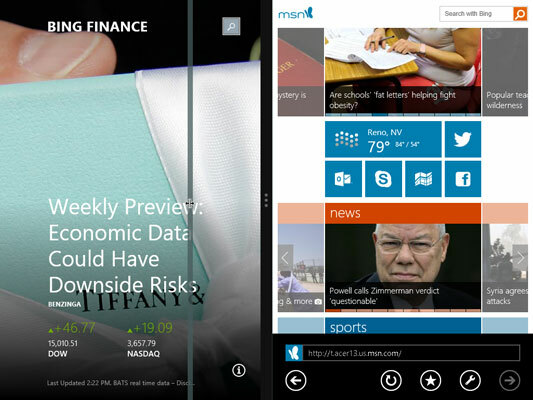 The upper-left corner of your screen enables you to view the open apps. Drag the app you wish to open down to either the right or left side of the screen. Drag the app to the side of the screen where you’d like it to appear. Release the app where you’d like it to appear. The app now resides at the targeted spot. To replace one of the apps on your screen with another open app, again start at the upper-left corner of your screen. Move to the upper-left corner of your screen to view the open apps. As you move to the right or the left, the app that will be replaced by the new app drops slightly into the background to indicate which app will be replaced. Drop the app to replace the one that’s already there. Drop the app on whichever side you prefer. If you’d like to allocate more of the screen to one of the apps, drag the splitter bar. If you drag the splitter too far, the app will disappear, indicating that you are trying to make the app smaller than its minimum size. You can close one app without closing the other one by dragging down from the top of the app you wish to close to the bottom of the screen. If you close all open apps, your Start screen reappears. If you have two monitors, you can open multiple apps on each of them. 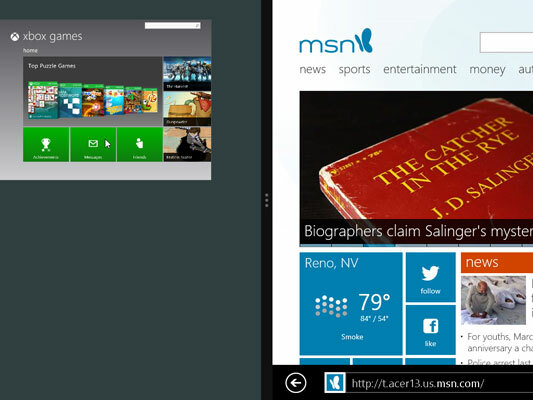 You can even display Windows Store apps on one monitor and Windows desktop applications on the other. You can only view the Start screen on one monitor at a time, but if you have dual monitors you can display the Start screen on either one of them freely.